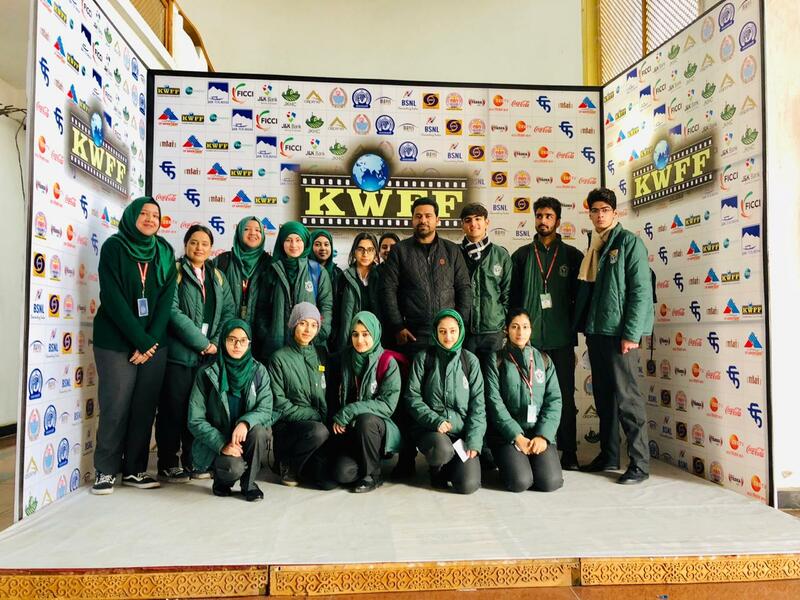 The school participated in the recently held Kashmir World Film Festival (KWFF) at Tagore Hall, Srinagar. the festival was held from 27 November to 4 December. Students participated in various workshops to hone their acting skills and knowledge of visual arts and filmmaking. A typical day at the festival began with an hour and half long workshop, during which the students would learn about various topics related to cinema and the Indian film industry from renowned artists like Rajat Kapoor and Nagesh Bhonsle. The workshop would end with meaningful interactive sessions, during which the students would ask questions. The workshop would be followed by screening of various movies and documentaries. The role of our students and their enthusiastic participation won them accolades from one and all.